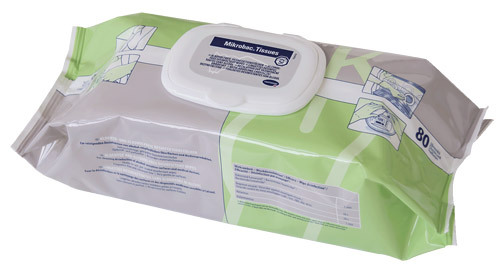 Mikrobac® Tissues - Alcohol-free disinfection wipes in the convenient Flowpack. For the cleaning disinfection of alcohol-sensitive surfaces and sensitive medical devices. Alcohol-free disinfection wipes in the convenient Flowpack. For the cleaning disinfection of alcohol-sensitive surfaces and sensitive medical devices. Mikrobac Tissues are suitable for the convenient cleaning disinfection of sensitive surfaces and medical devices. Click here for a free download of Adobe Reader.